(SF Bay Area) Doc Wong Adventure Dual Sport Clinic - May 31 and June 1! Thread: (SF Bay Area) Doc Wong Adventure Dual Sport Clinic - May 31 and June 1! (SF Bay Area) Doc Wong Adventure Dual Sport Clinic - May 31 and June 2! Doc Wong Adventure Dual Sport Clinic - May 31 and June 2! Due to some very popular requests, I've created this special clinic for adventurous dual-sport, dirt and street riders. Basically anyone who wants to improve their dirt skills. From the consistent feedback we've been getting, the new format has been getting impressive results with riders gaining greatly improved dirt skills and confidence! it will be an educational experience for you. Though I'd have to say that I've had a rider show up Sunday with a full dress Harley Davidson motorcycle that did the dirt clinic. He did well too! with coordinated balance, controlled sliding of the rear AND front wheels, controlled wheelies, hillclimbs and much more. 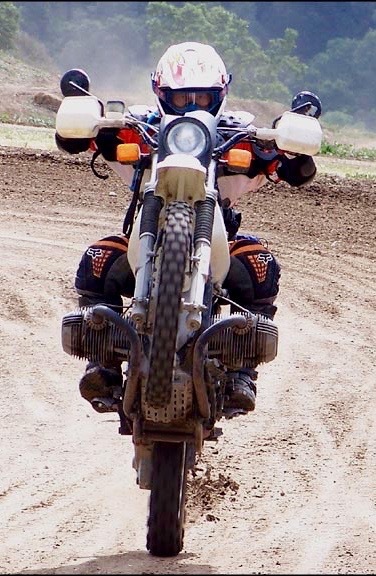 So how do I get newer Adventure Dirt/Dual-Sport riders to, safely, do things like lock up the front wheel, do wheelies etc all 4 hours of drills???? 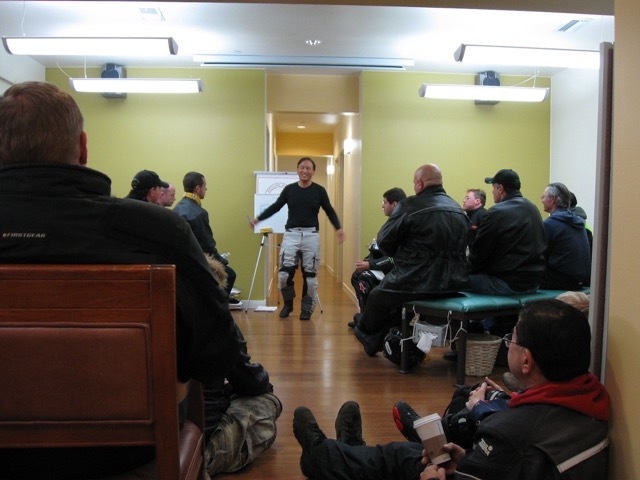 Attend Friday night's lecture and demonstration and find out about Doc Wong's Proven Riding Confidence Generator!! If you're a more experienced dirt rider I'd appreciate any help you'd like to give in leading a group, etc. This clinic is held on two separate days. talk is a prerequisite to Sunday's drilling session. wonderful, but you won't be asked to. Part B: Sunday 4 hours of drills, drills and more drills. I can pretty much guarantee that after this your dirt riding confidence will significantly improve along with feeling much more confident with your street riding, especially when road conditions get slippery. We will practice and drill the exact concepts that were explained and demonstrated on Friday night!! The drilling location is subject to change so I'll announce that Friday at my office at Full Motion Chiropractic. however the practical "Doc Wong Adventure Dirt Drills" part of the clinic is limited to 40 riders. A. Snacks, lunch and water. boots. Regular dual sport riding and touring gear is ok too, but be aware it may get hot. C. Mechanical: bike in good order, knobbies will work best, however dual-sport tires will work also. Street bike tires will provide a unique experience! D. You can bring luggage if you want. We'll be at a location where you can stow some gear. E. Type of bike: at this time you can bring just about any kind of bike. The drills area is flat with various paths. If your feeling adventurous, just bring a street bike and go slow, remember your responsible for yourself. Ride street, ride track, ride dirt, trials.....ride.....well! Free exams and consultations offered if you're having pain while riding or having neck, back or other sports injuries issues. Email me at docwong@aol.com to subscribe to the email list. 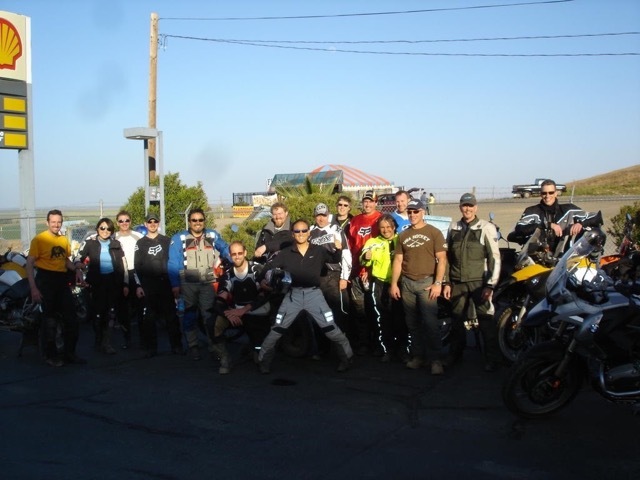 Join the new Doc Wong Riding Clinics Yahoo Group! Go to: https://groups.yahoo.com/neo/groups/...ngClinics/info to join! Special thanks to my friends and sponsors! Gary Jaehne for his contributions on the Suspension clinics and in his book: "Sportbiking: The Real World"....great reading. Last edited by docwong; 03-26-2019 at 08:51 PM.